A Bible you can sleep with! No matter what your religious beliefs, practices or denomination, if you are looking to nurture your child’s faith there are some wonderful children’s books that can help. You may also find that one or more of these books would make a nice christening or baptism gift, or would be welcomed by family and friends and their little ones on any occasion! Below is a list of books which retell familiar Bible stories and set Biblical themes in accurate historical contexts as far as the culture and people of those times. Likely, Jesus was not as fair skinned as some artwork and pictures in books portray, nor were all the people of the region He lived in! Babies, young children, and families from different cultures and countries are represented in these beautiful, true-to-life books. Additionally, many of these books retell a prayer or Psalm against the backdrop of various cultures, or within a particular situation. Through uplifting and inspirational language, imagery and pictures, these books will delight and comfort children while developing their knowledge of the Bible and promoting their religious growth. 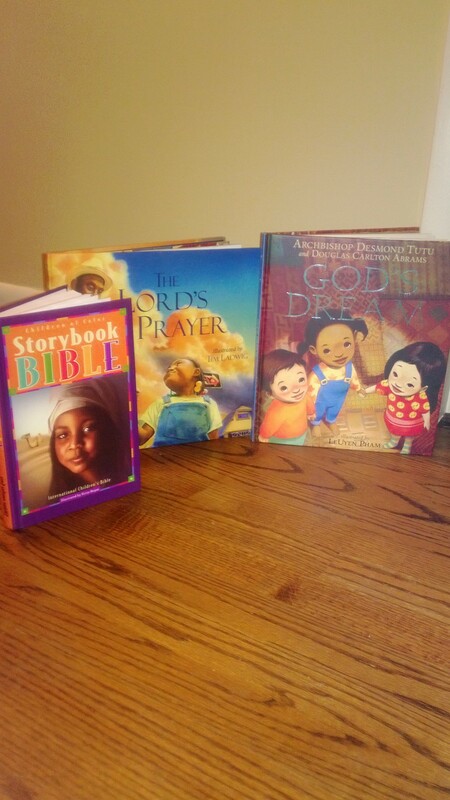 There are wonderful books that can help you nurture your child’s faith. Yes, a Bible you can snuggle with! This board book with begging-to-be-cuddled cover shortens and retells familiar Bible stories in a rhyming format for babies to enjoy too! Timeless Bible stories are shortened for your toddler to enjoy with lots of colorful illustrations – complete with dictionary in the back. For the older child, this is the first translation of the Holy Scriptures for children. It relates their current heritage and history to the events and stories in the Bible, helping them to understand that these stories are a part of that heritage. A wonderfully written introduction helps parents and religious instructors with suggestions for how to best use the book. With large, bright illustrations, this is a truly fun book to enjoy with action prayers, poems, and songs for bedtime. A sturdy board book for little ones to enjoy prayers and Psalms throughout all times of the day. A beautiful book illustrated in watercolor using a glazing technique, The Lord’s Prayer is based on the true life of an African American man and highlights the way he gives back to God’s Kingdom. A positive role model for us all! This amazing book, by the same illustrator as The Lord’s Prayer, is set against the dramatic backdrop of the inner city and features an extended family raising two children in a safe home filled with an abundance of love. These powerful images bring this prayer to life for us all, no matter what our race or background. 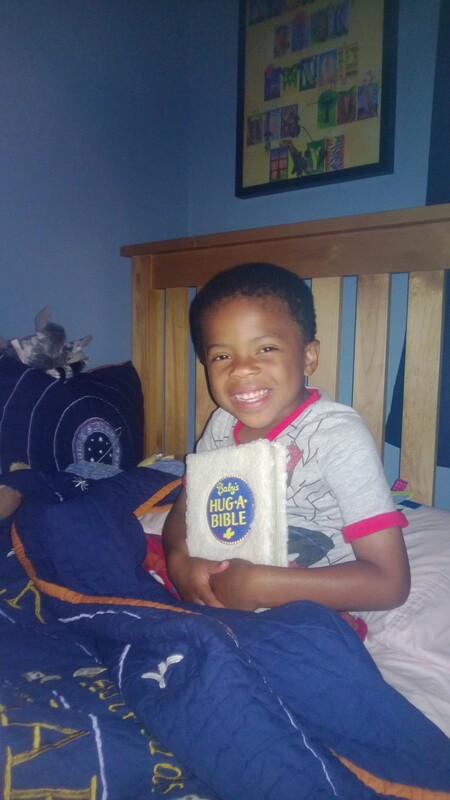 Featuring a beautiful little boy, this book takes a familiar prayer and turns it into an exciting bedtime adventure that will uplift your spirits and lift up your faith! This book is a wonderful way to introduce and teach the alphabet to young children within a biblical and multi-cultural context. This book contains familiar Bible stories, appropriately shortened and accompanied by illustrations which feature multiple cultures and skin colors. What is God’s dream for us – children and adults alike – and the world in which we live? Read this moving, poetic book and find out! A must-read for us all! Please feel free to add other books to this list, and share with us any that particularly stand out for you. Perhaps that will be a book that nurtured your faith as you were growing up!